You browse the web looking for a cool VPN to use. You come across several names including BitDefender. Sounds pretty cool, you think. But exactly what is BitDefender VPN? Is BitDefender an unlimited VPN and are there better alternatives to protect your personal privacy. However, you may quickly find out that BitDefender does not offer a dedicated iOS app for VPN. Also, its VPN services requires a mandatory subscription and does not allow unlimited VPN access. With a subscription, VPN Access still is capped at 200MB daily. Should you continue to use BitDefender VPN then? What is a better alternative for unlimited VPN? Lets find out below. For many years, BitDefender was the leading anti-virus software in the world. What is BitDefender's position in worldwide cyber security now, you may ask. Today in 2018, the company still ranks fifth in the total global market for Windows anti-virus and anti-malware application developers. What are BitDefender's Core Products? What are BitDefender's core products? Is their core product a VPN? Actually, the answer would be no. BitDefender's major product lines fall under these categories: 1. Small Office Security, 2. Security for Smart Home 3. Complete Protection PC Protection 4. Mac Protection 5. Android Protection and more. What is BitDefender VPN then? Could we confidently use BitDefender VPN as an unlimited VPN service? Does BitDefender VPN work on iPhones and iPads? This is what we want to find out today. BitDefender VPN you can keep your data private each time you connect to unsecured wireless networks while in airports, malls, cafés, or hotels. The VPN serves as a tunnel between your device and the network you connect to securing your connection, encrypting the data using bank-grade encryption, and hiding your IP address wherever you are. Is BitDefender VPN supported on iOS? Surprisingly, BitDefender VPN does not offer a dedicated VPN Mobile app for iOS devices. If you are using an iPhone or an iPad, you will need to download another app which is called the BitDefender Mobile Security app, which comes with a bunch of other security features for mobile phone. However, BitDefender Mobile Security app is more of a fully featured mobile security suite and does not come for free. Even with a subscription plan fo BitDefender Mobile Security, your access to the VPN service for iOS is only limited to 200 MB daily. What should I do if I need an unlimited VPN for my iPhone? 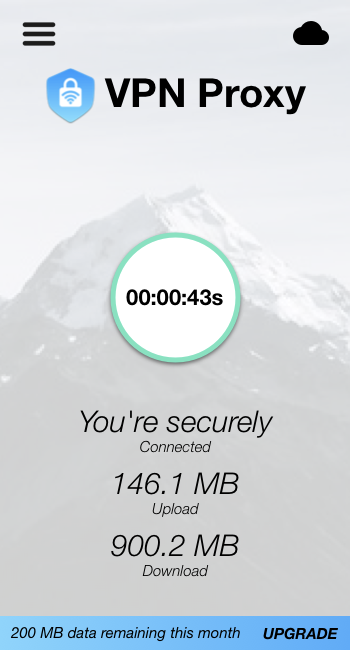 VPN Proxy by Appsverse gives you unlimited access, with complete set of privacy features that you can trust to protect your internet activity, such as AES Encryption, no-logs, no personal data collection, for a low price of only a few dollars a month. VPN Proxy by Appsverse also allow you to change your geo-location, which means that it supports Netflix too.